Newer outdrives with two sets of props (3 blades and 4 blades) Seating color was changed to white and will need to be retouched up. Stereo and speakers were removed and ready for the buyer's new system. 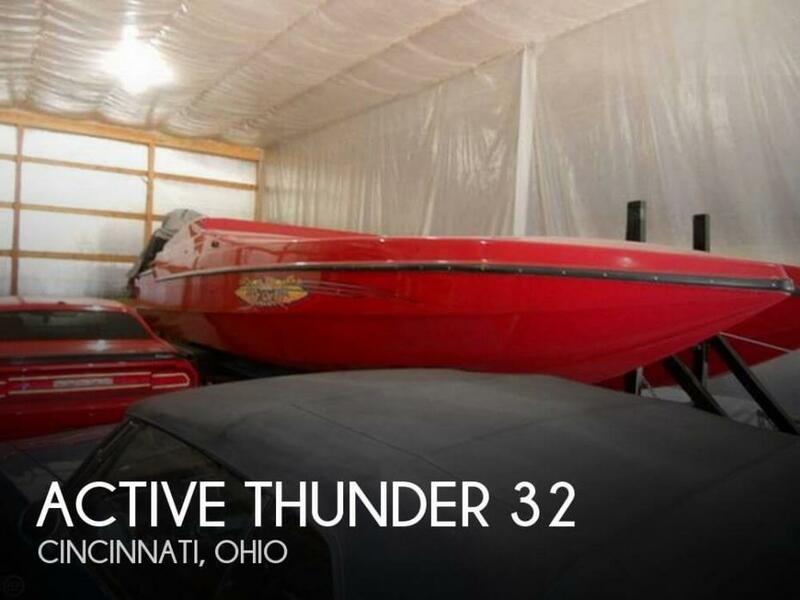 Stock #171034 Here's your chance to own an Active Thunder Cat 32 with twin 1000hp+ rebuilt 572s, less than 2 hours, and she'll run 135 mph+ If you are in the market for a power catamaran, look no further than this 1994 Active Thunder 32, priced right at $106,700 (offers encouraged). 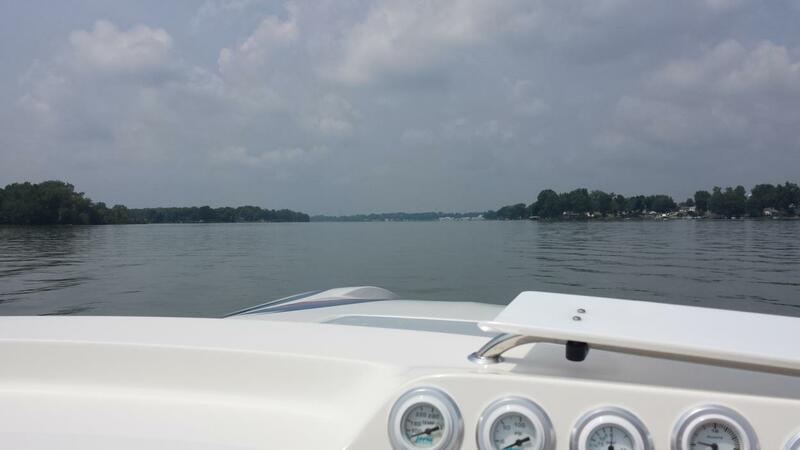 This vessel is located in Cincinnati, Ohio and is in great condition. She is also equipped with twin Custom engines that have only 5 hours. 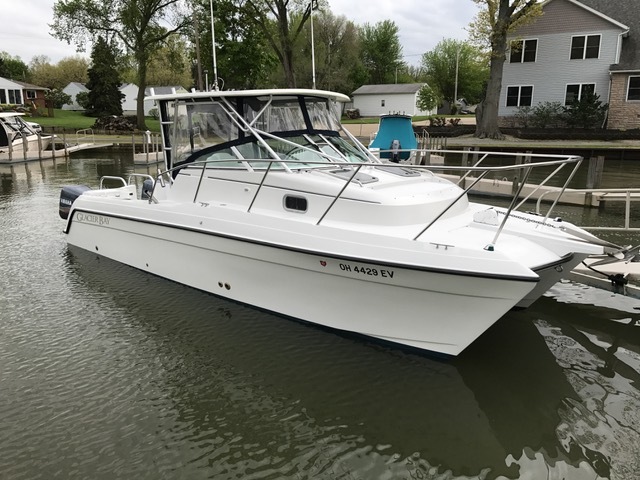 Reason for selling is has two boats and no more room!. 1999 Glacier Bay 2670 Island Runner Tired of the pounding from 2 to 3 foot chop? This is the boat for you. Fresh water Lake Erie boat includes 2004 Aluminum trailer. 320 hours on (2) 1999 Yamaha 150 OX66 Fuel Injected outboards with 4 blade Stainless props. All seats and upholstery are like new. Full enclosure around the cockpit. Has a Queen size bed and Electric head. Webasto FCF 5,000 BTU A/C and Heat unit in the cabin. Lowrance HDS7 Touchscreen with Outboard Pilot autopilot, includes remote. Extended swim platform with rails and ladder. Also has Stereo, Ship to Shore radio, Windlass, Rocket Launchers, Fresh Water system, Lake water washdown, Live well, (2) Fish wells, Shore power, Battery charger system, Underwater LED lights. Fish all day or hit the islands. This boat is very clean and ready to go, needs nothing.